For a FUN evening out…Adults enjoy open bars and magnificent buffets. This traditional evening of food and entertainment should not be missed! Ask about special seating when booking, inclusive of table service and other amenities. A perfect way to celebrate Hawaiian culture and cuisine. An evening at the beautiful Fairmont Orchid Hawai’i enjoying the elegance and beauty of the Kohala Coast and the ambiance of the land area known as Kalahuipua’a. Steeped in tradition and history, Kalahuipua'a is known as a gathering place for Ali'i (royalty) and special visitors. An evening at the Hawai'i Loa Lū'au is full of this same tradition of Hawaiian culture and hospitality. Join us for an evening of special memories… the finest cuisine prepared by an award winning culinary team…. 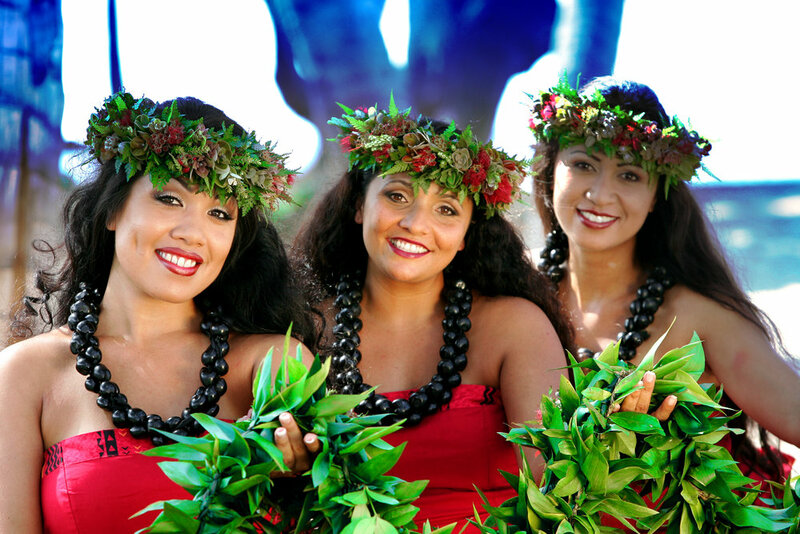 an internationally renowned cast sharing the stories of Hawai'i through live music and dance. RATE: ADULT $119.80 + tax. CHILD (6-12) $82.43 +tax (5 and Under Complimentary) Valet parking included. *Why we love it: Arts & Crafts Demonstrations are a must see and truly fun for the whole family. Open Bar and Welcome drinks served. Food is excellent as well! 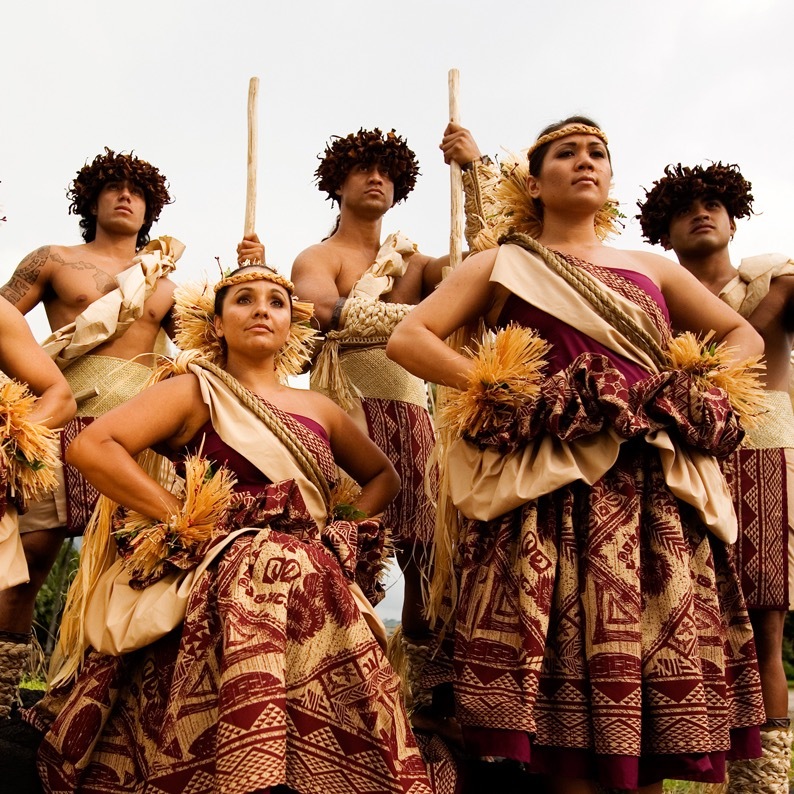 The Hāleo lū'au is an evening that celebrates the history of the ahupua’a (land area) called Keauhou and the heart of those who came from this land area. From the birth of Kamehameha III to the surfing stories of He’eia Bay, the dancers and musicians of Island Breeze take you on a journey through a very special time in Hawaii’s history. Learn about the battle of Kuamo’o and how Kamehameha III bridged the gap of ancient treasures and traditions, as he brought the people of his kingdom into a “new era” in the islands. RATE: ADULT $113.25 + tax CHILD (6-12) $59.64 +tax (5 and Under Complimentary) Open Bar, dinner, show, Fresh flower lei upon arrival, Self Parking and gratuity are included. An evening of delicious Hawaiian food & award winning Polynesian entertainment on the shores of Kamakahonu Bay. Held under the stars on the grounds of historic Ahuʻena – Kamehameha the Greatʻs former estate in Kailua-Kona. The evening begins with a warm welcome and an opportunity to meet the performers, learn a hula and get a Hawaiian tattoo. Watch the uncovering of the pig in the imu (underground oven) and then enjoy a delicious buffet and open bar. Entertainment throughout the evening includes live dinner music and a spectacular Polynesian show - “He ʻOhana Kakou” (We are Family). Premier seating additional $19.20 for adults and additional 13.70 for children. Open Bar included. *Why we love it: Arrival of the Royal Court aboard an outrigger canoe.